“Seeing fireworks” is the pinnacle in forging a romantic connection… and sealing it with a kiss. So this Fourth of July, cuddle up with someone special — or someone pretty regular whom you met at the barbecue earlier, anyone will do, really — and pucker up under the actual fireworks. Because, when it all comes down to it, there’s nothing more romantic than a cliché. But first, glean inspiration from these iconic moments from TV and movies (yes, in my book Full House is iconic). 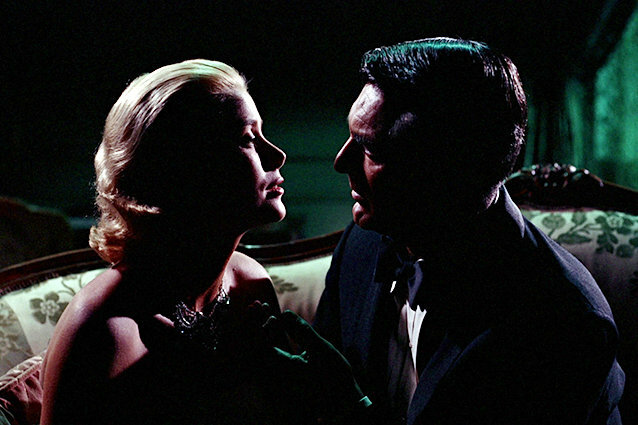 No one is classier or more elegant than Cary Grant and Grace Kelly, and watching them kiss while fireworks explode outside their window in Alfred Hitchcock’s 1955 classic is the epitome of romance. Things heat up between Katharine Hepburn and Rossano Brazzi on the balcony under the fireworks in 1955’s Summertime. While fireworks boom over the Forest Moon of Endor, Han Solo and Leia celebrate their blooming relationship as well as the death of the Emperor with a fireside smooch. There might not be any actual kissing under the fireworks, but the handholding seen at the 8-minute mark is about as steamy as things got on screen in 1927. Fast-forward nearly a hundred years, and fireworks are still getting couples in the mood. Kristen Stewart and Jesse Eisenberg head to a more secluded location for their fireworks-fueled makeout in Adventureland. Everyone is kissing under the fireworks in this clip from the best Full House episode ever — the gang’s trip to Disney World. But someone really should have told Danny that while fireworks proposals are nice and all, he still needs to get down on one knee. Can You Recognize These Superheroes in the Lone Ranger’s Mask?